US Conductors by Sean Michaels is inspired by the true story of Lev Sergeyvich Terman, a Russian inventor who led an incredible life. As Leon Theremin, he invented many electronic marvels and was the toast of New York, He was also a Soviet spy during his time in the States and spent time in a Russian prison camp during the Stalinist era. The best known and most proficient player of the theremin – apart from the inventor himself – was a New York musician of Lithuanian descent named Clara Rockmore. She first met Mr. Terman as a teen-ager (her maiden name was Reisenberg) and, despite a number of proposals from Mr. Terman over the years, married NYC attorney Robert Rockmore. The book is in part a fictionalized account of the romance between Mr. Terman and Ms. Rockmore and partly how Mr. Terman (in the book) uses his love for Ms. Rockmore to keep his spirit alive during some devastatingly harsh years in Russian prison camps. (“You were wearing amber the night we first saw Duke Ellington. Today this memory is beside me.”) The author also writes about Mr. Terman’s early life in Russia. Throughout it all, the line blurs between fact and fiction. As Mr. Michaels says, tantalizingly, at the front of the novel “This book is mostly inventions”. Sean Michaels has had a colorful life as well, to judge from the brief bio on the back cover of the novel. Born in Scotland and raised in Canada he has at various times been a blogger, a writer for magazines such as McSweeney’s and The Guardian and toured with rock bands. 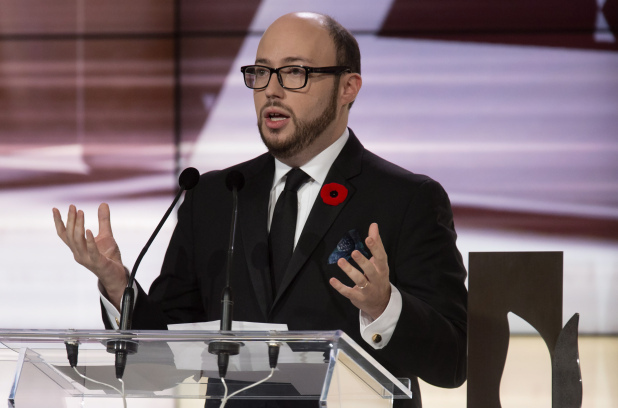 He is the current winner of the Scotiabank Giller Award, one of the most prestigious and lucrative of all Canadian literary awards. Mr. Terman’s time in New York ended under mysterious circumstances in 1938 when he was spirited back to the Soviet Union and somehow ended up in several Russian prison camps, each more brutal than the last. You’ll have to read the book to understand how this could happen under the Stalinist regime. Mr. Michaels depicts this period in Mr.Terman`s life with such harrowing imagery that reading these passages is what I call ‘reverse escapism’ , in other words, I am glad I am not there. 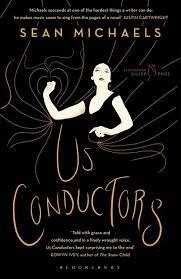 Intriguing, romantic, vividly written and impeccably researched, Us Conductors is more than a novel – it is an experience. I wish I could say that I was looking forward to his next book. But I fear that having proved his point with his debut novel Sean Michaels may already be off to his next adventure.